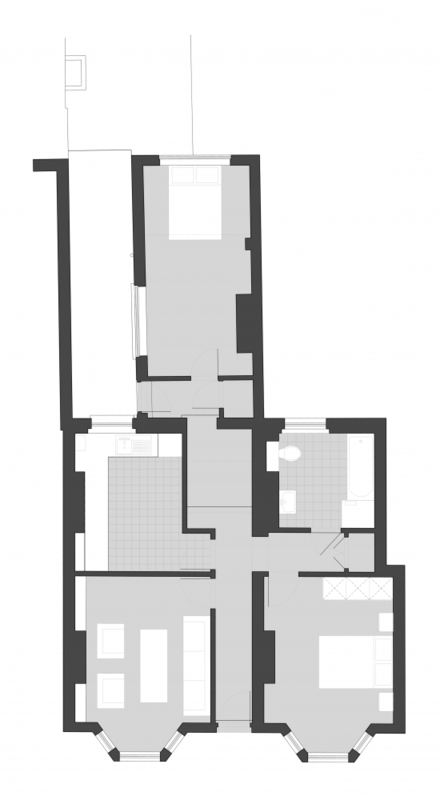 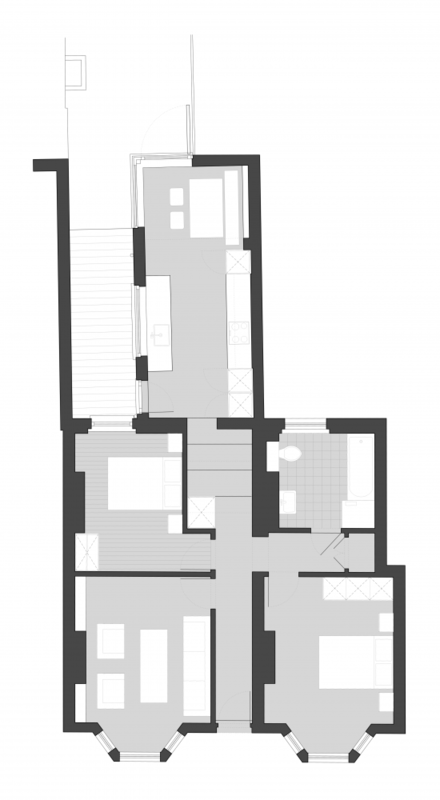 The alteration and renovation of this ground floor Victorian terrace apartment is based on the clients request to relocate the kitchen from the main house to the extension in the back, to provide an additional dining space in the same area and relocate the bedroom to the position of the previous kitchen in the main house. 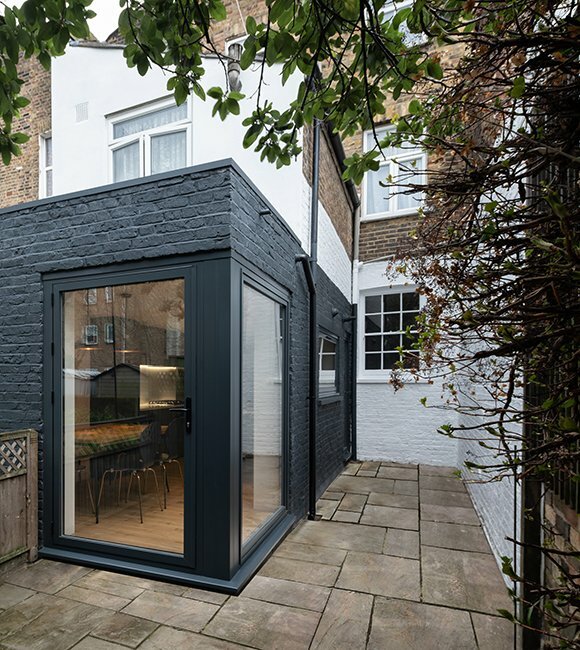 By introducing a large south-east corner window to the back yard, the design aims to allow as much light as possible into the extension and to open the space to the garden. 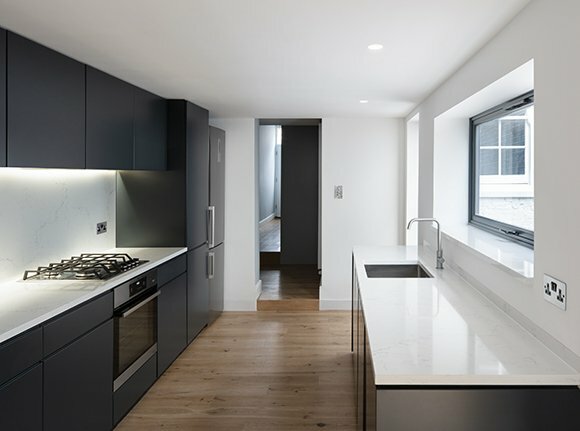 A new kitchen counter including high cabinets to one side and a kitchen island bench to the window side were placed in the front part of the extension. 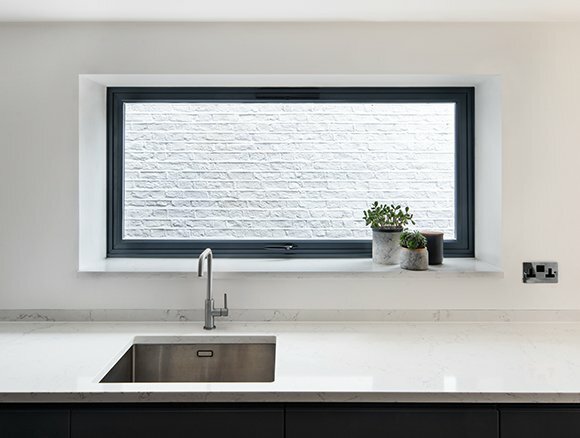 The small niche opposite the corner window was created to allow for additional space and a bench to the dining table. 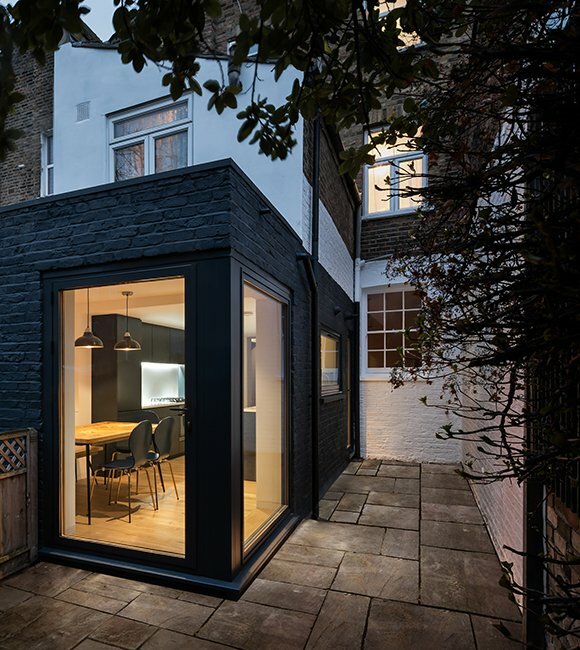 The implemented ‘black and white’ colour scheme allows for a clear distinction between the new furniture and windows to the inside as well as a differentiation between the extension on the ground floor and the surrounding buildings to the outside. 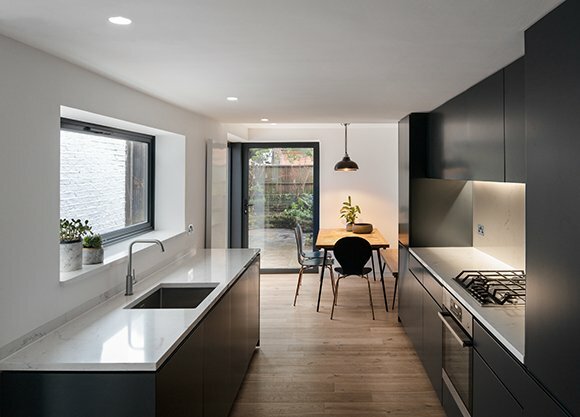 The dark extension appears like a box in the existing fabric, with the white walls framing it and reflecting the afternoon light into the new kitchen and dining space.